The 1.6-liter dCi 130 engine is another product of Renault-Nissan Alliance, which was developed together. This four-cylinder diesel engine appeared in 2011. Energy dCi 130 was the first in Energy family, which gradually replaced the old 1.9 dCi 130 engine (F9Q). The R9M took the middle place in the Renault diesel range right between the 1.5 dCi K9K and the 2.0 dCi M9R engine. The crankcase is made from cast iron. The bore spacing is 88.0 mm. The MR9 engine is the first diesel engine in the world for passenger cars, which equipped with steel pistons (Mahle MONOTHERM pistons). On top of the cylinder block, there is aluminum 16-valve double overhead camshaft cylinder head (DOHC). Also, the engine got Common-rail Direct Injection for delivering fuel directly into the combustion chamber, and gear from intake cam drives the exhaust camshaft. The engine is equipped with variable geometry turbocharger VTG, start-stop system, exhaust gas recirculation system EGR with cold cycle and diesel particulate filter DPF. There are a few words about R9M 160PS. It is twin-turbocharged 160hp diesel engine based on Energy dCi 130 engine (power output of 100hp per liter). It produced 380Nm peak torque. 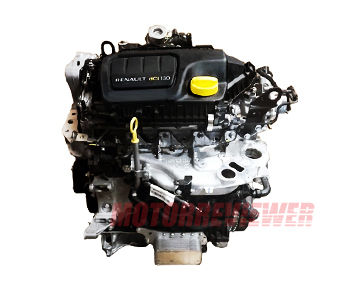 This engine you can find under the hood of 2015 Renault Espace and 2015 Renault Talisman. The Renault 1.6DCI 130 R9M engine has no problems reported at all. There are no DPF problems; the exhaust manifold employs the latest technology to run cleanly and keep its DPF filter clear.